What is your favorite Christmas drink? It is hard to do without your classic mulled cider, eggnog and hot chocolate. But people have other special beverages to celebrate the holidays around the world. So if you are visiting some exotic places this winter or just want to treat yourself, here are the seven drinks that will bring the Christmas spirits to you. Enjoy responsibly! Better known as Cola de Mono – i.e. “Monkey tail” – this drink combines aguardiente, milk, coffee, vanilla, and cloves. Its texture is something between a White Russian and an eggnog served cold. Although Chile is famous for its Pisco Sour, this Christmas drink is a special treats to try during the holidays. The preparation takes time but here is an easy recipe to work you through it. The “Christmas punch” is much like a boiling pot of fruit salad that perfumes local houses during the holidays. Anything goes, from rum to tequila. All sorts of fruits are part of this pot; oranges, pears, prunes, raisins, and tejocotes. You will also find traces of cinnamon, cloves, and other spices. There are as many recipes of this Christmas drink as there are different cultures in Mexico, try this simple one. Here is another Christmas drink with a little fruity flavor. While there’s nothing fancy about Mulled wine at Christmastime, this “glow wine” adds citrus and Brandy in its own particular way. If you are looking for a hot drink to ward off the cold winter nights, this is it! In Germany, it is common to see street vendors appear in markets to offer this heartwarming beverages. Hard to do without it. 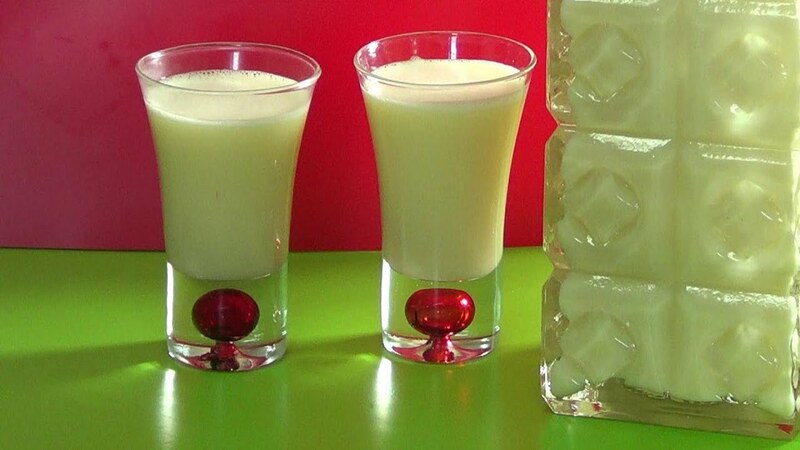 The country that gave us the mojito will also share with you its exotic eggnog recipe. The cream of life is at the table of every Cuban comes Christmastime. It takes less than 15 minutes to prepare and cheers the heart and family discussions for much longer than that. The secret of this Christmas drink lies in the lemon, the incorporation of the egg yolks and -of course- the quality of the rum. For the real deal, you wouldn’t want to substitute this liqueur for anything less. Nights can get quite cold in the Andes. And during Christmastime, nothing gathers families like the canelazo. The recipe often varies, but locals always use their beloved aguardiente as brandy and panela for the fruity note. You could always substitute these with other liqueurs and fruit juices to suit your taste. Do not forget the cinnamon and it is OK to add other spices like anise. The Lithuanian traditional Christmas drink involves poppy seeds and honey. The preparation could be the most demanding in this list and needs you to extract the milk from the seeds. Be thankful there are excellent recipes online to guide you through the process. The drink is a must at every table since it is part of their 12-dish Christmas Eve supper. It seems Lithuania would be a great holiday destination for foodies. Hard to call this one a traditional Christmas drink given that it was first mixed only in 1959. Ever since, it became a popular cocktail in the Valencian nightlife. Let not the name fool you; this drink doesn’t have a drop of water, rather cava or champagne, mixed with gin, vodka, and orange juice. Nothing says happy New Year like champagne. This Spaniard beverage will wow all your guests at Christmastime and beyond. If you like the beverages listed here, be sure to check out these special hot drinks perfect for warming up your cold winter nights. And leave us a comment with your own special or favorite Christmas drink. Cheers to the New Year!